Every year, it pains me to see Passover treated as little more than a date on the calendar, a teaching event, or an evangelistic outreach (in certain Messianic circles). Additionally, I am grieved that many will default to mere attendance at a formal community seder, rather than expend the energy to personally prepare for an intimate remembrance in the home, according to Scripture. It is not because of disobedience, but for the missed opportunity that I grieve—an opportunity that, with only some forethought and effort, can be wholeheartedly embraced. What also continually amazes me—and I suppose it shouldn’t—is that the traditional, rabbinic Jewish seder (the primary focus of most Passover celebrations) goes unquestioned and unchallenged year after year. 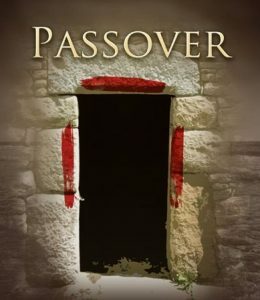 To be sure, we Messianics have been writing our own hagadot (the book that tells the Passover story during the seder) for years, weaving Yeshua’s fulfillment of Passover into the fabric of our celebrations. But instead of starting with the perfect Word of God—the Scriptures—to instruct us in our memorial, we still almost universally rely upon the framework of the traditional Jewish seder. We merely adapt the traditions to suit our tastes, building upon the innovations of men. I’d like to think that the reason we do not turn to the Scriptures with regard to Passover (or anything else, for that matter), is that we do not realize how far from the Scriptures our traditions really are. We have been taught to believe that our traditions are authoritative—even Scriptural. But if that is so, how do we explain the existence of the seder plate (which is not found in Scripture), or the majority of its elements (which are not found in Scripture), or many of the rituals of the seder (which are not found in Scripture), or even the very seder itself? An examination of all the traditions associated with Passover will reveal that nearly every single tradition is either non-existent in Scripture, or is a modification of Scripture that actually contradicts the Word of God. In 2010, Perfect Word published Behold the Lamb, which is much more than just another Messianic Passover haggadah. I also helped compile a thorough Passover Preparation Guide as a complement to Behold the Lamb. In addition to providing a truly Scripture-based Passover memorial avodah (“service”), I write extensively in these two resources about the recapturing of a Scriptural Passover experience. There is so much more to Passover than “dinner and a show”. From the preparation of the home, to the preparation of the heart; from the telling of the Passover story, to the keeping of an all-night vigil; from the purging of sin (symbolized by leaven), to the look ahead to the next seven and then fifty days of growing toward God—these Behold the Lamb resources restore both the practical and spiritual aspects of Passover that have been forgotten, but not lost! Passover is so much more than a time to remember Israel’s history and the truth of our once-for-all Passover sacrifice, Yeshua, our Master. It is also the singular annual opportunity to restart our walk of faith—to learn not just of God, but of the state of our own hearts through the participation of our hands and feet as well as our senses. I urge you to begin preparing your heart and mind today to experience Passover anew this year. Let’s look to the Scriptures for our instruction and purpose, and walk out the reality of our freedom according to the truth of God’s perfect Word. Behold the Lamb, the Preparation Guide and the Messianic Mo’adiym Devotional (which leads you daily from Passover through the entire Season of Freedom) are available as a specially-priced three-pack only in the Perfect Word Resource Center. Our family is all in Charlotte, NC – however – Shelly is invited to Bemidji, Minnesota to lead a Celebration Passover which is open to the city. We are ordering your material – thanking the LORD for you, Esther and the boys – your love for HIM and for each other. The preparation of heart for the Passover – preparing the ‘way’ of the Lord here in the desert – living a certain ‘manner’ or ‘manna’ of life – is our hearts cry for the Ecclesia – the Called out ones. You are a blessing too us and a blessing to the Body of Messiah (The Christ – The Son of the Living God). We love you, Kevin, and thank the LORD for presence here in the valley. Can’t wait for this wonderful time with friends and family! Blessings!